I spent my daughter’s senior year of high school teaching her how to do laundry. I even tried using enticements (money) for each load she completed. It was a little bit of a battle because what should take maybe an hour or so to run two loads, dry and fold became an all-day project. She would leave wet clothes in the washer just to avoid folding the clothes in the dryer. By the time she was ready to head off to college, I felt she knew enough to be able to handle her own laundry. And then I just hoped she would wash her sheets and towels weekly as well as doing her regular laundry. She would tell me that students were willing to pay others to do their laundry. Or, that if she was doing her own laundry, if she did not get to the laundry room quick enough, some other student would remove her wet clothes and leave it on the table so they could use the washing machine. I admit, while I certainly felt her frustration, I also remembered back when she would leave clothes in the washing machine for a ridiculous amount of time much to my frustration. So, let’s discuss the laundry options when living in a dorm. Most of the laundry machines can be found in the basement of the residence halls or on the ground floor. Students can pay using their Gator ID, debit card or exact change (a roll of quarters may come in handy). 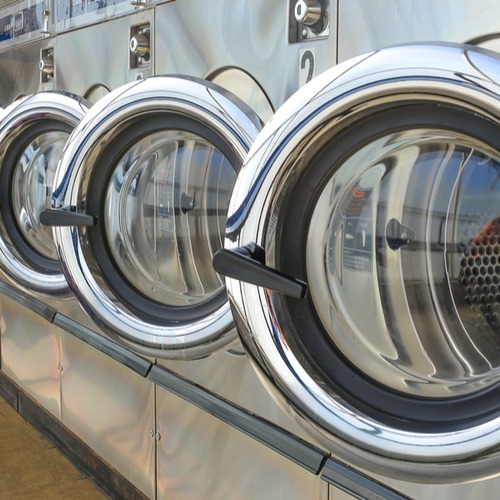 The average cost per load using on-campus machines is $1.25 for each wash and $1.25 for the dryer. They make it fairly dummy proof with buttons for different categories of laundry (whites, colors, etc.). They also utilize a service called mywavevision.com which will let them see which machines are available. If your student is planning on using their Gator 1 Card, they will need to open a Vending Account with a one-time initial deposit of $15. (can be used at all Campus vending machines including ones for snacks, beverages, library copy machines. Balances carry over from semester to semester and through graduation. LaZDorm – in addition to cleaning dorm rooms, they also will do laundry, alterations and dry cleaning. They charge $1.50/lb for one-time washing but they also have prepaid semester plans. This includes FREE pick up & delivery. Lili’s Alterations – Our interns head to Lili’s on NW 16th Boulevard. Open 9 am – 6 pm Monday – Fridays and 10 am – 5 pm on Saturdays. Closed on Sundays. Alterations by Deloris – Located on 16th Street but also highly recommended. Open Monday through Friday from 1 pm – 6 p.m.